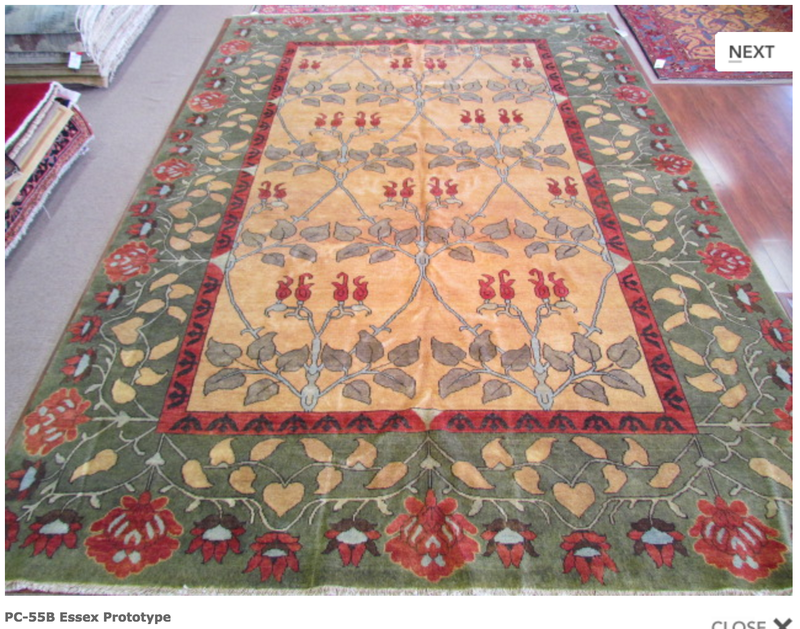 Today when I checked in they had another one-of-a-kind hand-knotted prototype rug. 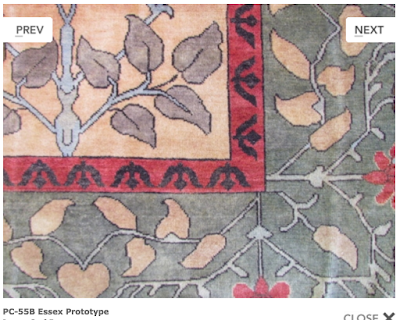 This design appears to be a close cousin to William Morris' "The Rose" rug design from 1897; they call it the "Essex." I've not seen this design with a green border before. 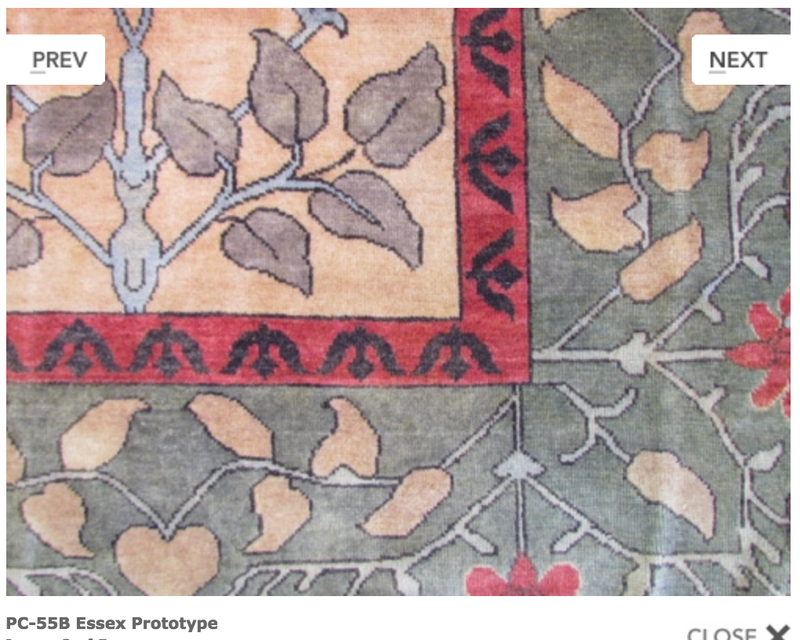 I'll have to go dig thru my William Morris books and see if I can find this exact rug design. 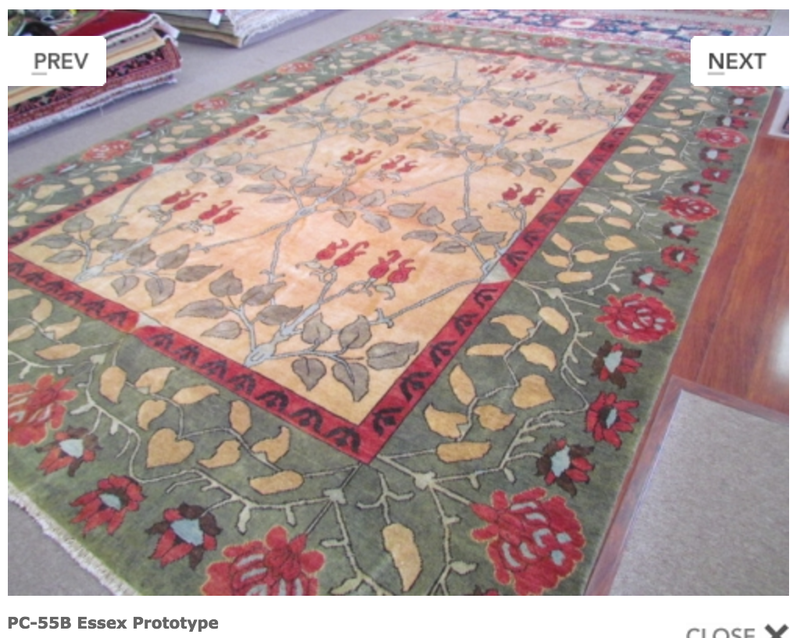 I bought this Persian Carpet's Essex Prototype. 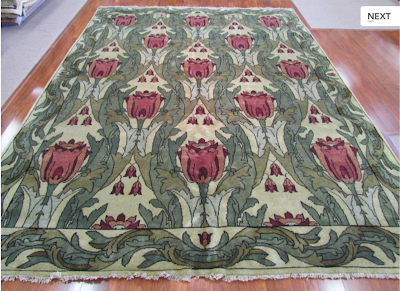 It's a 10x14 though, so it's going to end up in the living room which means I'll be shuffling the new Fintona rug, into the front library area. 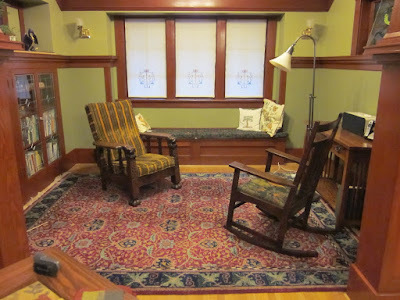 While the rug already in there is hand-knotted, the color doesn't go well with our color scheme. At some point I'll be in the market for a rug for the dining room, but I better stop now. 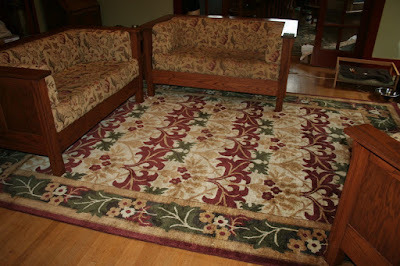 Jeff only has so much patience for shuffling furniture/rugs and I'm already pushing my luck. 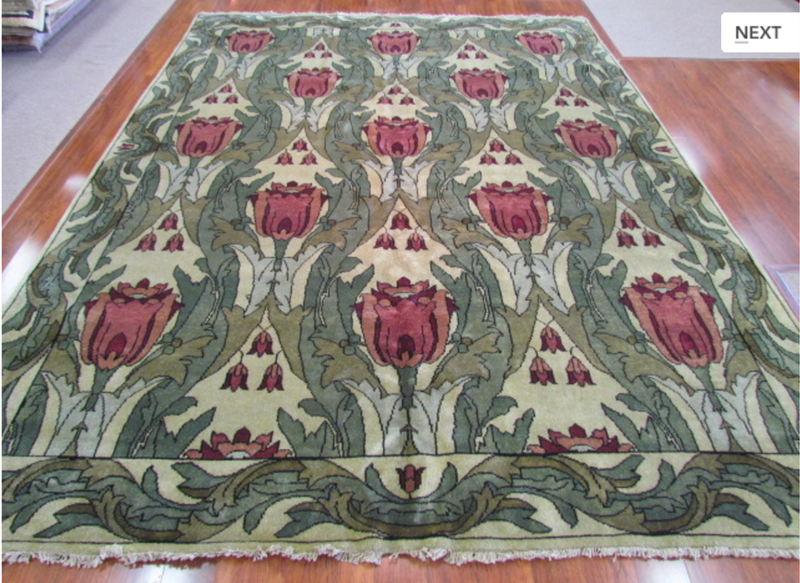 That tulip caught my eye cause it had all the greens and if I ever finally decide on a green it would probably match one of the greens in the rug. Too bad it is sold out. 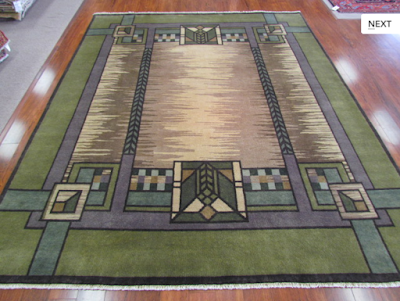 Love the rug you bought. I hope you enjoy the Persian Carpet website. The colors look much milder in your new carpet, I hope they look the same in real life, Sharon! I hope so. I'm a little anxious while I wait for it to be delivered. I hope it looks OK with the other rug.